What better way for kids to practise their ordinal numbers than these fun jigsaws! Just print onto card, slice along the vertical lines and you have a great self-checking activity for them! Putting things into order is more fun when you are also putting a jigsaw back together again! That's the idea behind this Happy Easter jigsaw. Just print onto card and cut along the vertical lines. We have both black and white and colour versions of this fun fox jigsaw, designed to help your children learn their ordinal numbers. Print and cut out around the edge, then slice along the vertical lines. This printable gives children practice in matching up the numerical and word versions of the ordinal numbers from 1st to 10th. We have two versions available, one in "full colour" and one with white background. Our party jigsaw is a fun way to calm overexcited children by giving them something to focus on. Print the jigsaw on to card and then cut along the dotted lines into strips, children must then use their knowledge of ordinal numbers and the picture to put the strips in order. Print out our rainbow jigsaw onto card, slice along the vertical lines, and get the kids to put it back together again. Whether they use the ordinal numbers at the bottom of every piece, or the picture, they will be getting some useful ordinal numbers practice. This bright and busy rockets picture makes a good jigsaw puzzle. We have added an interesting twist to a standard puzzle though, there are the the ordinal numbers 1st to 10th on each strip. To complete the jigsaw children must put the ordinal numbers in the correct order. Here's a fun way for kids to reinforce their ordinal numbers - with our special Year of the Monkey printable jigsaw! Just print onto card and cut along the vertical lines. Now the kids can put it back into the right order, using the numbers to guide them. Learn ordinal numbers with the help of this lovely Year of the Pig jigsaw. Choose from colour or black and white. If choosing the black and white version, ask the kids to colour it in first. Now slice up the jigsaw, including the numbers. We have colour and black and white versions of our Year of the Rooster ordinal numbers jigsaw to choose from. 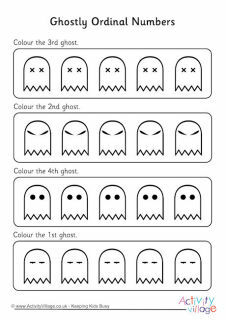 Print on to card, colour in the picture if using the black and white versions, laminate and cut into strips and then arrange the strips in order from first to tenth.